Angelwood Soap Company Specializes In Handcrafted Goat Milk Soap. We pride ourselves in offering you the very finest in handcrafted and specialty goat milk soap. All of our goat milk soap is carefully and lovingly made on our very own dairy goat farm. If you are looking for the absolute best available in quality goat milk soap, you have come to the right place. Our goat milk soap making process is tried and true and we hope you will agree. We are a small farm located outside of Cincinati. We use the milk from our own dairy goats to make our wonderful goat's milk soap and lotion and goat's milk fudge. Additionally, we make homemade jams and jellies and delicious artisan breads. We offer fresh hand made soaps made from goats milk, lotions, and bath bombs. We offer you a large selection goat's milk soaps, lotions, and other bath products hand crafted from high quality ingredients, at affordable prices. Goat's milk soap and lotions are smooth and nutrient rich. A little goes a long way. Goat’s milk is high in protein, triglycerides, Vitamin A, B6, B12, and E making it an excellent natural moisturizer that helps hydrate and nourish skin. Lotions, creams and body butters made from goat milk are also especially nourishing for elderly skin. The special fat and protein molecules from goat milk, along with an array of vitamins and minerals, are easily absorbed through the skin, providing hydration, a protective moisture barrier, and nourishment for the skin all at the same time. Blue Dolphin Soap Company, LLC. 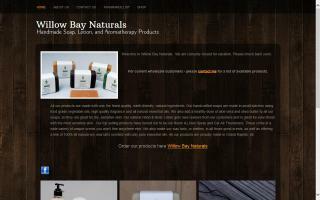 Fresh handcrafted all natural bath, skin and body care provisions made locally for years. "Udderly" Pure handmade goat milk soap made in Colorado. 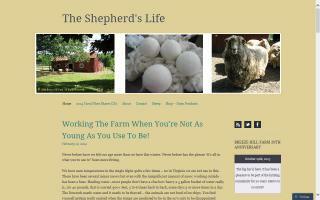 A hobby farm in upstate Vermont, selling eggs, pasture raised chickens, pigs, and soaps. We are a small family farm located in the Black Forest. 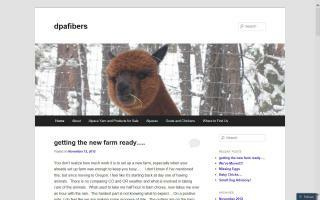 We currently raise alpacas for their fiber and offer yarn in natural and handpainted colors. We also have breeding and fiber quality animals available for sale. 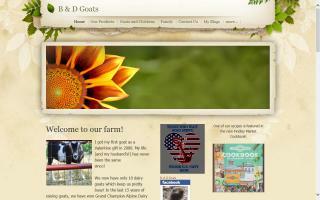 We have a couple of Oberhasli goats which provide wonderful milk. We occassionally have some herd shares available. Finally, we have a variety of entertaining and mostly heritage breed chickens which patrol our pastures and pens. They also provide us with fresh, pasture raised eggs which we occassionally have availability to sell. We learn and attempt something new each year. This year, we hope to have a garden. We have a variety of lotions and soaps that are made here on our farm feom the milk we get from our goats. This is awesome product , give it a try you wont be disappointed. Little Blessings Bath & Body Products are hand made in Northeastern Indiana. Our company is family run and we make all our products by hand with natural ingredients to provide you with a quality product. We have built the foundation of our company entirely on Christian Values. 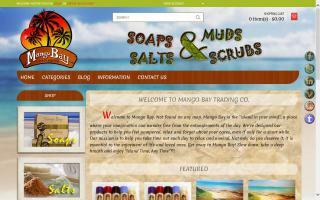 Enjoy "Island Time, Any Time" with the help of our relaxing soaps, salts, scrubs and muds. Many of our products are all natural, made with organic ingredients on Merritt Island. 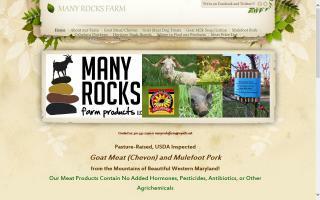 Pasture-raised Kiko goats, Mulefoot hogs, heritage ducks, and Cubalaya chickens. USDA inspected meat available on Saturdays at Freshfarm Farmers Market in Silver Spring, MD, and on Sunday mornings at the Baltimore Farmers Market under JFX. 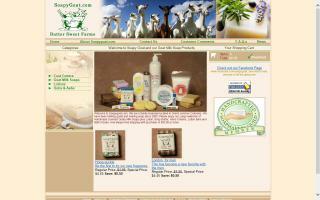 Small goat farm in Texas making hand made goat milk skin products made from our own goat milk. 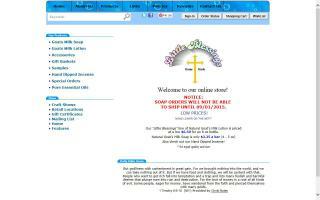 Some of the items we offer are: soaps, lotion, creams, and balms. 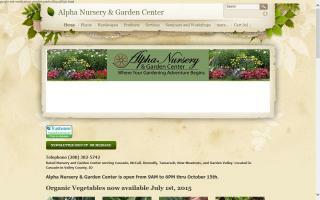 Come visit with us on Facebook and on our webpage- we love hearing from other farms and small businesses as well! 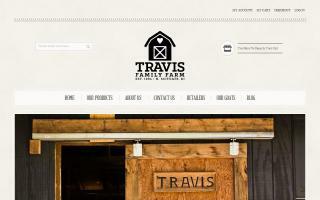 Travis Family Farm, created in 1994 by David and Lillian Travis, is located in North Scituate, Rhode Island. Our human kids Mical, Jaklyn, Jekub, Kelub, Noah, Rachyl and Izek welcome you to come experience our "non-human kids", who are our Nubian herd of goats, sheep, alpacas, chickens, ducks, turkeys, rabbits, a pig, and a peacock. This is our family-run business, with tons of family fun! Knowing that the most important values in creating our children's life experiences are to teach them how to be self-sustaining, self-providing and to learn how to be responsible adults, we decided to move from the city and create a lifestyle that exemplifies hard work. We have expanded on generations of family values, offering the kids an opportunity to explore and grow in an environment that continuously teaches important life lessons. Travis Family Farm is home to Rachyl's Goat Milk Soap, a collaborative family endeavor which began in 2009 and continues to grow today. we offer luxurious goat milk soaps made with farm fresh goat milk, and vegan soaps made with beer, wine, or liquid aloe vera. Our handmade soaps are scented with all natural essential oils, or phthalate free fragrance oils. We also have all natural whipped shea butter, hand and body lotion, lip balm, and essential oil aromatherapy products. We are a farm homestead raising dairy goats, sheep, beef cattle, and poultry. Our featured products are all-natural handmade goat's milk soap, all-natural skin and lip balms, paraben free lotions, and creams. We make luxury goats milk soaps with 100% fresh goats milk from our Mini Nubian does.The soap has a very mild PH. We use only vegetable oils in our soap. We also make soap without goats milk. We provide handmade goat milk soap, lotion, bath bombs, soaks, and sugar scrubs. 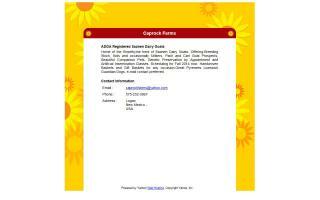 We also offer jams, jellies, livestock feed, produce, eggs and many other items. Please see our website for complete details.